The album receives good reviews from the local press. In our humble opinion, our first album, including traits of ingenuity and sound quality problems, remains a good attempt to balance dark and grandiose atmospheres, blasphemous comparisons and progressive waves, wobbling tumbles in technical deficiencies and unexpected genuine virtuosities, catchy motifs and social or personal (or indecent) themes - or at least this was the idea. The song "Seven" is later broadcast on many local radio stations. All this is done by our original formation: Sale/Colo/Bob Pàiza/Dave Pàiza. Months pass, things change and for a bit more than a year we play with Luca. After live performances, inspiring trips around the world and constant rehearsals, tantalizing ideas for a new album arise. At the end of 2007 we split up for about a billion reasons and never make it to record our second album. Then silence for a while. About two years actually. The album features 10 original songs that draw inspiration from many travels and personal experiences. The sound goes through dreamlike atmospheres of countries where none of us has ever been, dusty moods of countries we crossed on the road, aimless mind contortions with a compulsive yet optimistic desperation in them, unpretentious strumming cartesian guitars and thickness of bold thoughts of bass guitar and choirs, psychological highways narrated by a book of mechanics of the heart. The video of the song "Sugarless" is filmed in november 2010, not long before a Rotary International campaign video, featuring our song "Frantic touches, lucid dreams". 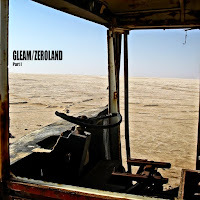 The second half of Zeroland is planned to be issued very soon and will feature 5 new original songs.